It was at this point in time when I pressed pause and decided, this is not a blinkk… I cannot contain the breadth of this “beat.” So, I tried something new… I riffed for a few… fifteen to be generally exact… because, well, this is The Fame... part forever and always. Y’know… It’s not fair, to review an album, I guess, from the perspective of a cultural biography until it’s established its origin story, which – in an America that is fundamentally a free market, and a democracy within that capacity – is, a week after its release; when it’s made its mark on the Billboard charts; which, right now, is the founding gauge for relevance, reach, proximity to the consumer and the marketplace in terms of significance. That being said, now Cheek to Cheek has made its starting point. It’s off on the good foot, it’s Number One in the country: which is fundamentally what all of this was ever about. That to enter the national consciousness from a place of pop stardom, means that you’re either popular, or you’re populist; and at this point, we see the convergence of the two. 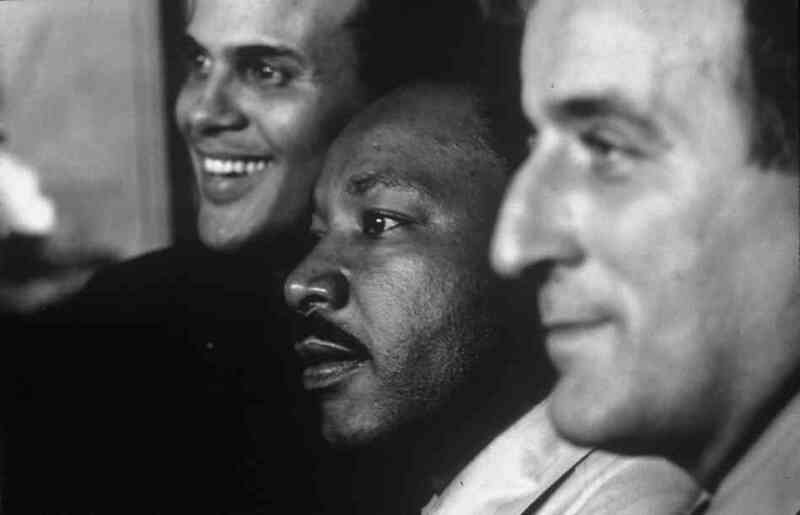 We’ve got Tony Bennett who rode alongside King in the Sixties, who was an Italian with a stage name that wasn’t entirely accurate based on his birth certificate. Then you’ve got Lady GaGa who rides alongside any, and everyone for that matter, in her crusade – in her defiant plea and purpose right now – in this moment, in this eternal moment, that pop music will never be low brow. That the popular is not a debased, faceless mass, but rather that the population is a group of divine commoners, divine denizens; that when brought together, can transcend any limitations we have since placed on humanity – and the first step to that, is cultural awareness of the greatness of the human form … and the ability of the human to create that which is better than itself and its material existence … and music is that eternal fiber, music is that fundamental identifier that manipulates the invisible. It is the imagination passport that is able to connect you to the time and space void of twain: which right now, is The Haus. And so to bring it all back: we have this apparently “antiquated” art form – and this idea of “time” holds no bearing on Cheek to Cheek – it’s the idea that you have two contained elements, human forms contained within the epidermis, brought together and these two glorious edges are brought together to move, to touch, to dance in this space that no one can quite see, but that when we hear it so clearly: it becomes real. And when we connect to the cheeks of others, it becomes the zeitgeist. When enough cheeks touch… creation occurs. And here it is not chaotic, it is very calm… but within this calm there is a sense that it could be fleeting. But it’s like the Titanic, where as you’re on this ship: you can jump, you can scream, you can kick your fellow passenger – or you can recognize your place as a performer, as someone with a gift and with a sense of awareness, and you can play as this ship goes below. After cold logic has sunken this beautiful vessel, this seemingly unsinkable vehicle, there is this idea that nothing else – even if it is futile – will attempt to create something so warm, something so engaging, endearing, transcendental, musical, rhythmic, beautiful. That to sink below these icy waters doesn’t seem so bad: because you’re not even in this material place anymore. You’re in the metaphysical space, or that shared aural experience, and so you live in that bubble dream. And so here we have this sense that there’s this awareness: that, yes the world is burning down around us; yes, there’s the sense that, yes in the midst of ISIS you had artRAVE Dubai; and that yes, you did have two Italians descending upon Israel in the midst of everything that is the Gaza Strip. And once that Gaza Strip has been scorched – once that earth is no more – you still have the Mesopotamian womb somewhere beneath. You have those fossils. And they remind us that there is civilization. And that beyond all the hatred, there are humans. There is humanity. And there is that undying need to connect and recreate and continue and progress – and it takes destruction. So, where ARTPOP and The Fame glitter-bombed this Earth, we have this sense of stripped down – stark naked: no pants, no auto-tune, one-take Suzeeys (which is Yeezus backward) and we do it until we get it right. And right isn’t what’s “right” for the charts. Right isn’t whats already been written: right is how you create that new language, and make it real now. So all of that is to say that yes: with this album anything goes… with this album yes: we are cheek to cheek, and yes – we are dancing with each other… and yes, it don’t mean a thing if it ain’t got that swing: from ratchet to regal. I mean yes, this is an art form that did emerge from the African-American community. Black Americans who knew institutionalized servitude. And yet create this beautiful music, because from the birth of tragedy comes the spirit of music. And here we have a new group of slaves. Those new slaves. Those celebrities, the ones who are constantly surveilled, constantly vilified, the collateral damage of this American culture, creating for that same hand that holds them down every day. Those same chains that bind them, are the same chains that create that beautiful sound: that percussion. And so in the midst of it all, we have the emergence of a new renaissance. We have this emergence of something eternal, something lasting: what’s old is new. So I guess all of this is to say that beyond the lyrics and the lines and the uncanny knack for human expression … we just have an absolutely masterful piece of work. As we always have from these two figures, and it is quite beautiful… and the beautiful part of it is: is that just like ARTPOP, this was a successful attempt. This was a triumph for the elevation of the populist masses. This is not the perfect song structure: this is the American songbook, which is created from innovation out of necessity to be better than that which you already are. To elevate above your current environment: whether it is the music industry, whether it’s the manufacturing industry, Detroit and Chicago, whether it is New Orleans – birthplace of jazz that has sunk, and is now succeeding in its own right within this same entertainment industry. Whether it is these fallen angels that adorn the streets of Hollywood; whether it is these sad Gothamites finding haven in Lady Manhattan. Harlem, Paris. No matter where you are is the idea that this jazz music is culture, and it’s because it was individually created. We’re taking something that already existed, in this Great American Songboook, we are taking the canon and recreating it in the current form… and that is true and that is authentic and that is something that Industry cannot stop – but it took four years. It took The Fame, it took The Fame Monster, it took being reborn this way: it took ARTPOP. It took ARTPOP beacause: what is an artRAVE, right? What is an artRAVE, outside of a neon-blitzed speakeasy? When’s the last time you saw anyone cheek-to-cheek, sweating over this divine sound? For me it was artRAVE Los Angeles. And so you’ve got to understand that this is “Volume Two;” and Volume Two is the same as Volume Twenty-Two is the same as Volume Two Thousand Fourteen. It is this eternal move towards greatness – toward the divine – and it is this linking, linking these two people who now have a shared space and time. So here I see Clarence Clemons, again on that edge of glory, and it’s a beautiful sight. And I feel like everybody says what everybody said about the album, in terms of the artistry (which is undeniable) and the tone, the sheer control that GaGa exercises. And yet it’s something we’ve always seen, is this idea of control: she had to control her career to the point where you have to compromise to get to this point – not everything was perfect or preplanned. To get to Cheek to Cheek, ARTPOP had to be “ARTFLOP.” The same way Britney Jean flopped for your sins, and Blackout kamikazed for your sins: Cheek to Cheek exists to save you. It is that saving grace that lets a post-millennial-post-9/11-ADHD culture of Crystal children caught in a media marketplace, hyperreel, hyperdrive, intangible, disposable culture; and lets them know that you can indeed read the Times but write and live for the eternities. Freedom in the music: stay jazzed kids.